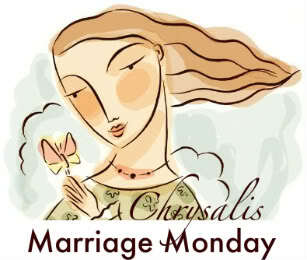 It’s Marriage Monday over at Chrysalis Cafe and today we are discussing trust in marriage. My husband and I are about to celebrate our twentieth wedding anniversary, and I can say without hesitation that I love and trust him even more today than I did on our wedding day. 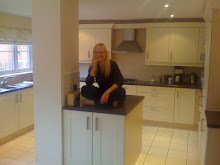 However if you had told me I would be writing that statement all those years ago, I would have expressed doubt as to whether it was possible to love and trust him any more than I did in that moment. What I didn’t understand then is that a healthy marriage is a living entity, something that never stops growing and developing, just as we as human beings never stop growing. Trust is is an integral ingredient in a happy and strong marriage. In order to move forward in trust, it helps tremendously if you are both of the same mind – and while sometimes being of the same mind happens as a gift from God, it often has to be worked at. And in that case, the only way to accomplish it is by prayer, and communication. In fact, in the opinion of my husband, myself, and many of our long-married friends, communication is a key to developing and maintaining trust. While there is nothing more beautiful than a husband and wife sitting or walking together in companionable silence, too much silence in a marriage can be a dangerous thing. And while it is important to trust our husbands to know and fulfil our needs as they should trust us to fulfil theirs, my husband and I have talked to too many couples with broken marriages who have said, “But he/she should have known…” or “If only I had known...” .We are all flawed human beings, and we can’t possibly know everything our partners need – sometimes we have to be told, sometimes we have to ask, and most of all, we need to listen. Sadly in today’s modern world, when we hear the word ‘communicate’ often the first thing that pops into our mind is talking – when actually one of the most important parts of communication is listening. Men are notoriously less communicative than women yet years of experience have taught me that men are wonderful talkers, but only if they believe they are really being listened to. And it is this listening side of communication that often falls by the wayside, both on the part of women and men. How many times have you heard a woman say that her husband doesn’t listen to her? Or a man say that his wife doesn’t understand him? Or vice versa? Communication – with a healthy balance of talking and listening – is one of the keys to trust in any marriage. While a certain amount of trust in a loving relationship can only come from the love God gives us for one another – part of the trust that you need for a strong, happy marriage is something you have to work on by communicating with one another. Sharing your deepest heart’s desires with your spouse and having them honour you by listening to them and helping you to fulfil them, is one of the biggest expressions of trust I know. People express amazement when my husband and I finish one another’s sentences and we ourselves find that one of us often brings up a topic of conversation or suggests doing something the other one is actually thinking about at the same time. I think part of this is because we have spent over twenty years regularly talking and really listening to each other. It has been a joyous experience for us to discover that when you are courageous enough to share your deepest thoughts, dreams, needs and desires honestly and openly with each other, trust and of course, love, flourish within your hearts and within the marriage. Please do join in this discussion - I’d love to hear from you. If you want to link an entry in your blog about this topic, click the Marriage Monday link at the top of my post for more details.